"Why should you wear an old watch when you dress so fashionably and have such good taste? By selecting an excellent Universal watch, complete your beautiful and fashionable appearance." 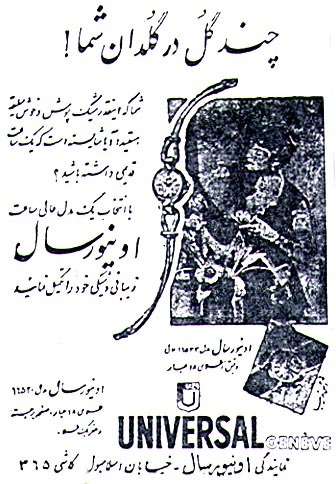 Published in Ettela'at, December 28, 1954.